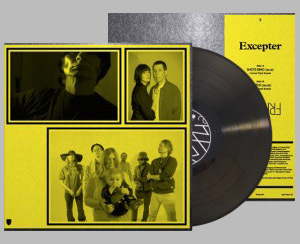 JG Thirlwell’s remix of NYC band Excepter has just been released on FRKWYS records . The 12″ also contains mixes by Chris and Cosey. A video for JG’s remix has been created, featuring JG himself. Directed by Frankie Macias, the psychedelic clip features spirals painstakingly created with thousands of hours of rendering and creates a kaleidoscopic complement to JG’s mix. The digital version of this release also includes a mix by Jack Dangers.